TENA for MEN guards are for males with light urinary incontinence. 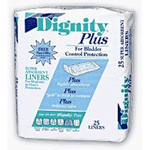 Because these pads have a special odor controlling properties, they will help you stay active and involved with work, recreational activities or other situations where you are around other people without fear of anyone noticing. 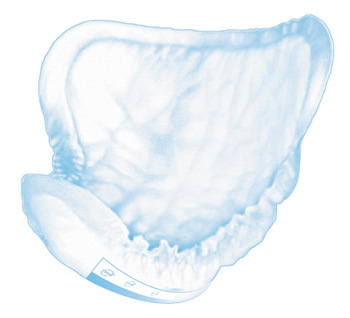 The innovative shape designed especially for men will provide a comfortable fit and absorbtion reliability against bladder control problems and bladder leakage. The absorbent padding is pH balanced with OdaSorb Plus which controls odors. 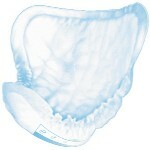 The ""cloth like"" backsheet is gentle against your skin and reduces ""crinkle noises"" prevalent in many absorbent incontinence products. An adhesive strip running down the length of the outside of the pad adheres to your underwear to prevent slipping out of place. You can wear these guard in your regular briefs type underwear and/or as added protection on top of padded incontinence briefs. Note: These guards do not work in boxer shorts. They are for use only in snug fitting briefs. Each padded guard is individually wrapped for discreet portability. One size fits all. Twenty (20) per package. Six (6) packages per case.